Art in the Parks is a cooperative effort of the National Park Service, the Presidio Trust, the Golden Gate National Parks Conservancy, and the Headlands Center for the Arts to work with a variety of community partners to bring the arts to park settings to provide new ways of experiencing and learning about place. Some of our current and past partners include the FOR-SITE Foundation, We Players, and the San Francisco Museum of Modern Art. Through Art in the Parks, both emerging and established artists have been invited to collaborate with the parks to create place-based artworks that illuminate the Golden Gate National Parks’ natural and historical landscapes and stories in innovative and unexpected ways. 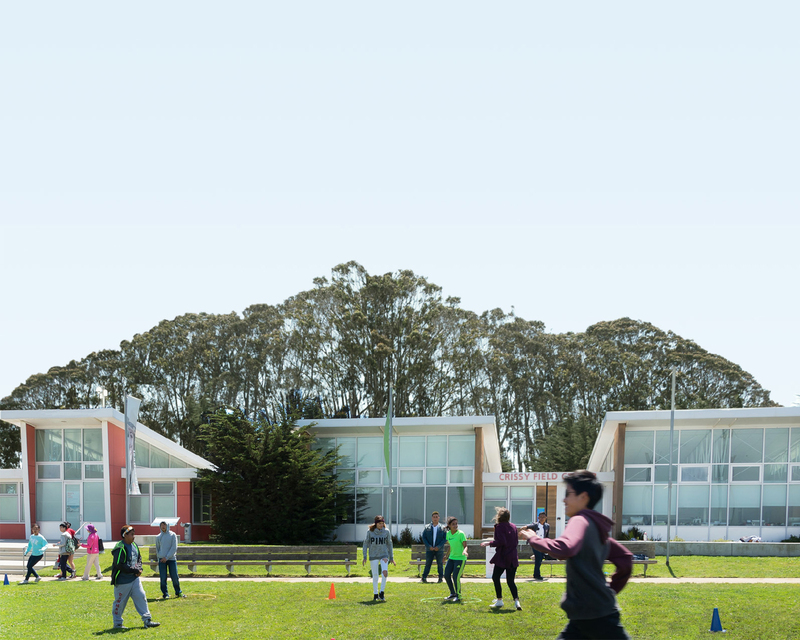 Works by Andy Goldsworthy in the Presidio, Mark di Suvero on Crissy Field, Jeannine Przyblyski at Lands End, the International Orange exhibition at Fort Point, and We Players at Alcatraz are among the installations and performances that have attracted and engaged new and diverse audiences within the Golden Gate National Parks since 2010. Art in the Parks programs and exhibitions draw on a long legacy of artistic interest and inspiration in America’s national parks. Authors, actors, painters, sculptors, photographers, and musicians have captured and celebrated their majesty for more than a century; George Catlin, Ansel Adams, and Rudyard Kipling are among the earliest artists who promoted the preservation and protection of these unique American landscapes. Today, artists continue to play a major role in interpreting and sharing the iconic panoramas, historic sites, and the diverse wilderness and wildlife within America’s parks and public lands. Through Art in the Parks, the National Park Service and its partners are fostering wider civic engagement and dialogue around some of today’s most important societal issues—from environmental preservation and conservation, to freedom of speech and expression. Created to bring new lenses to the park places they inhabit, Art in the Parks programs are helping to encourage a timely exploration and discussion on the inter-relationships between art, culture, nature, and an ever-changing society. By creating new avenues for visitors to interact, experience and connect with the natural and cultural treasures in our national parks, Art in the Parks is engaging the next generation of park users and reinforcing the importance and impact of these spectacular and uniquely American places. For more information on the Art in the Parks program, email: art@parksconservancy.org. Interested in bringing more creativity to the parks? Please read our Frequently Asked Questions (PDF). For additional information about Presidio-specific works, please see: www.presidio.gov/explore, or email inquiries can be sent to presidio@presidiotrust.gov. The Presidio Trust is currently seeking volunteers for a Presidio Art Docent program. Click here for more information.